SAN DIEGO, June 8, 2011 – Sony's new α NEX-C3 is the world's smallest, lightest interchangeable lens camera with an APS-C sized sensor. Offered in a range of stylish colors, the NEX-C3 brings the promise of DSLR-quality photography to the millions of consumers looking to take professional-looking photos without the size and bulk of traditional DSLR cameras. The NEX-C3 features an attractive new body design that combines a satisfyingly solid metal top casing with an easy-to-use streamlined grip shape. Reducing the size of its internal circuitry visibly shrinks the camera's size and achieves a body weight of just 225g (approximately 8 ounces) – nearly six percent lighter than its predecessor, the NEX-3 camera. Image quality, functionality and usability of the NEX-C3 camera also surpass that of the NEX-3 model. The resolution of the camera's large Exmor™ APS HD CMOS sensor is boosted to 16.2 effective megapixels, capturing stills and 720p HD video with breath-taking clarity. The large, DSLR-sized sensor also lets users produce pro-quality background defocus effects, whether shooting HD video or stills. "Building on the success of last year's α NEX launch, the new NEX-C3 model takes the idea of 'small camera body, SLR-quality photos' to a whole new level," said Kristen Elder, director of the alpha digital imaging business at Sony. "This camera's brand new, large CMOS sensor and user-friendly interface will allow all photographers, regardless of experience level, to produce unique, custom-styled photographs. The NEX-C3 is a perfect combination of design, performance and creativity that fits a wide range of activities and shooting styles." The intuitive new Photo Creativity interface on the NEX-C3 camera puts sophisticated controls within easy reach, whether users are shooting stills or HD Video. Technical terms like 'aperture', 'exposure value' and 'white balance' are replaced with the friendlier and more intuitive 'background defocus', 'brightness' and 'color', allowing users to easily create custom-styled photographs. 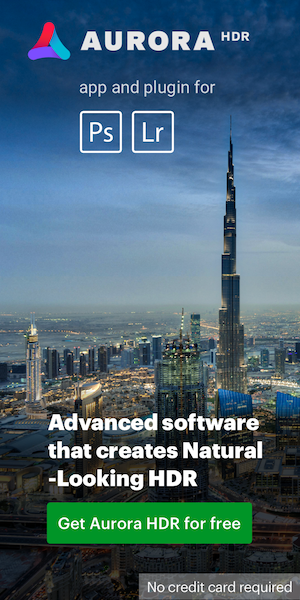 A traditional interface with Aperture/Shutter Priority, Manual and custom functions is always available for experienced users, along with highly customizable soft-keys for programming direct access to important controls. With the NEX-C3 camera, users don't need to dig into confusing menu options or guess their effect on a composition. They just need to turn the camera's rear-mounted control wheel and instantly see the effect of their settings previewed on screen. Also, two or more different settings can be combined to create more sophisticated creative effects. A new in-camera 'Picture Effect' setting lets users add extra impact to stills or HD video during shooting, without the worry of editing images afterwards. 'Picture Effect' options include Partial Color, Retro Photo, Pop Color, High Contrast Monochrome, Posterization, High-key and Toy Camera. There's also a 'Soft Skin' effect that removes wrinkles and blemishes from portrait subjects. Tilting for comfortable viewing at any angle, the high contrast 3-inch (measured diagonally) Xtra Fine LCD features TruBlack screen technology for high-contrast images with rich, deep blacks. This is an ideal way to compose shots and judge the effect of adjusting picture settings, even when viewing outdoors in bright sunlight. 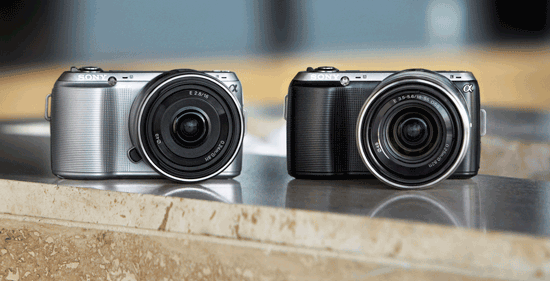 The NEX-C3 works even harder to capture amazing images and HD video between battery charges. Improved energy efficiency boosts battery life to a generous 400 still shots per charge – a more than 20 percent increase from the both the NEX-5 and NEX-3 cameras. 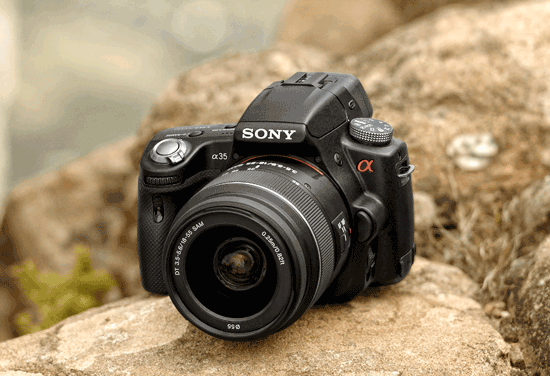 Sony's Advanced multi-shot technologies further broaden the possibilities of the NEX-C3 camera. 3D Sweep Panorama™ mode captures extra-wide images that can be viewed in 3D on a 3D television with compatible 3D glasses. Auto HDR "stacks" a high-speed burst of three successive exposures to capture extreme shadow and highlight details in a single frame. Similarly, Handheld Twilight and Anti-Motion Blur modes automatically combine six exposures to capture smooth, low-noise images. This avoids hand-blur and subject-blur when shooting in available light. The versatility of the α E-mount compact camera system grows with new style-matched accessories to expand shooting possibilities even further. Joining the range of E-mount interchangeable lenses, the SEL30M35 is currently the world's lightest life-size macro lens (approx 4.9 ounces) for interchangeable-lens cameras. This high-quality 30mm F3.5 macro lens features a 1:1 magnification ratio and minimum working distance of just 0.95 inches (2.4 cm), making it ideal for capturing detail-packed close-ups of small subjects like flowers and insects. Despite its extremely compact size, the SEL30M35 employs one ED glass and three aspherical lens elements for excellent optical performance, with minimized aberration and very high edge-to-edge sharpness and contrast. It also offers smooth, quiet autofocus operation whether shooting stills or HD video. The macro lens is supplied with a matching lens hood. Also available as an option, the new HVL-F20S is a style-matching flash that clips onto the Smart Accessory Terminal of NEX-C3 and other E-mount cameras. Powered directly by the camera, the flash requires no batteries, making it ultra-compact and light weight for travelling. With a generous GN20 (50mm, at ISO 100, m) flash power rating and adjustable head, it's ideal for creating natural fill-in and bounce flash effects with portraits and everyday shooting subjects. The expanded range of coordinating accessories features a new body case/lens jacket and a soft carrying case. The new camera is also compatible with Sony's full line of SD memory cards, including the newest Class 10 versions, as well as the Memory Stick PRO-HG Duo HX series. Available in capacities up to 32 GB, both media enable higher read speeds for more stable and optimal performance by Sony hardware features such as high-speed burst shooting or HD movie shooting. A firmware upgrade (Version 4) adds the new 'Picture Effect' function to existing NEX-5 and NEX-3 cameras. It also adds a Peaking function to assist with more precise manual focusing. This upgrade will be available June 20thand can be downloaded from: (www.esupport.sony.com). The new NEX-C3 ultra-compact digital camera will be available this August in silver, black and pink with an 18-55mm kit zoom lens (model SEL1855) and will cost about $650. It will also be offered in black only with a 16mm lens (model SEL16F28) for about $600. The new SEL30M35 E-mount Macro lens will be available this October for about $250 and the HVL-F20S flash will be available this August for about $150. SAN DIEGO, June 8, 2011 -- Light, compact and easy to use, Sony's new α35 (SLT-A35) interchangeable lens camera brings pro-style shooting speeds and diverse creative options to photographers of all abilities. Building on the acclaimed α33 and α55 models, the α35 camera with Sony's Translucent Mirror Technology allows responsive, accurate continuous autofocus - whether shooting high-speed still photos or recording full HD movies. "Our Translucent Mirror Technology continues to push the limits of modern DSLR technology," said Kristen Elder, director of the alpha digital imaging business at Sony Electronics. "The new α35 camera combines this unique innovation with a newly developed APS HD CMOS sensor and a diverse, user-friendly interface, making it a compelling choice for experienced photographers and first-time SLR buyers alike." She added, "Amateur photographers will appreciate the on-screen Help Guide, which gives a clear explanation of selected functions and how they're used. More advanced photographers will welcome features such as a top panel-mounted button that is fully customizable, allowing instant recall of any one of 14 frequently-used functions according to their preference." Making its debut on the α35 camera, Tele-zoom High Speed Shooting magnifies a central portion of the image area providing an effective 1.4x magnification (appx) while shooting at up to 7 fps. Providing continuous tracking autofocus of still or moving objects, this feature is ideal for capturing fast-moving sports, children's expressions at just the right moment or distant subjects with a high-speed burst of frames. There's also a rapid up to5.5 fps drive mode that offers full-resolution continuous shooting with tracking AF. With a resolution of 16.2 effective megapixels, the Exmor™ APS HD CMOS sensor delivers stunningly detailed, low-noise still and HD video images. Complementing the sensor's extremely high resolution and sensitivity, the camera's powerful BIONZ® processor optimizes image data to assure flawless images with rich, natural color reproduction. A maximum sensitivity of ISO 12800 and extension to ISO 25600 makes it possible to capture beautifully natural still images and HD video in low light. Advanced Quick AF Live View continuously displays a real-time output from the main image sensor during still or Full HD video shooting. Light is partially directed from the translucent mirror to an AF sensor to permit non-stop precision TTL phase-detection autofocus – a benefit not possible with traditional DSLR cameras. Shooting stills or AVCHD™ video, users can enjoy a superbly detailed view on the high-quality 3-inch Xtra Fine LCD™ display. Sony's TruBlack™ technology assures high-contrast images with rich, deep blacks – even when shooting outdoors. The high-resolution Tru-Finder™ display offers a precision alternative to framing shots on the camera's LCD. Offering an extremely detailed, high contrast image with full 100% field coverage, it's ideal for live preview of picture effects and exposure adjustments. Accurate composition of landscapes, architecture and other scenes is enhanced by 3 selectable grid line patterns. The α35 model offers a new in-camera 'Picture Effect' setting that lets users add extra impact to stills or Full HD video during shooting, without the worry of editing images afterwards. Effects can be previewed on the camera screen, allowing photographers to see the result of a chosen effect instantly rather than post-shooting. The inspiring palette of artistic treatments includes Retro Photo, High-key, Toy Camera and Posterization. It's also easy to produce dramatic Partial Color effects, with a single color highlighted against the rest of the image in monochrome. This popular effect is normally achieved through a series of painstaking steps using photo editing software. With the new α35 camera it's both automatic and instant. Reductions in power consumption boost the camera's battery life to a generous 440 still shots (approx.when using the rear LCD panel) between battery charges – a 30 percent increase over its predecessor. The α35 model is compatible with the full range of 32 A-mount interchangeable lenses that includes six Carl Zeiss® lenses, as well as the full range of alpha accessories including flashes, carrying cases, LCD monitors and more. The new camera is compatible with Sony's full line of SD memory cards, including the newest Class 10 versions, as well as the Memory Stick PRO-HG™ Duo HX series. Available in capacities up to 32 GB, both media enable higher read speeds for more stable and optimal performance by Sony hardware features such as high-speed burst shooting or HD movie shooting. Available beginning June 20th, a firmware update for existing α33 and α55 cameras adds several creative and operational enhancements. Support for the 'Picture Effect' function featured on the new α35 model is now offered. High-Speed Synch is supported during wireless operation with a compatible external flash (α55 only). Ergonomics are further improved with revised menus and a new mode that lets users switch shooting parameters overlaid on-screen for clear, uncluttered composition. The a33 and a55camera's Digital Level Gauge can also be displayed when shooting via the optional CLM-V55 external LCD monitor. Frequently used features can now be custom-assigned to the D-RANGE button for rapid, menu-free access. The upgrade can be downloaded from: (www.esupport.sony.com). The new α35 interchangeable lens camera will be available this August with an 18-55mm kit zoom lens (model SEL1855) for about $700. It will also be offered as a body-only (without kit lens) for about $600. This entry was posted in Sony and tagged Sony a35, Sony NEX C3 camera. Bookmark the permalink. Trackbacks are closed, but you can post a comment.